The arrival of Comancheros and Rebels from Australia, Rock Machine from Canada, plus Mongols and Vagos from the USA creates tension with established outlaw motorcycle clubs in Europe. The number of Outlaw Motorbike Gangs (OMCG) chapters in Europe has increased at a significant rate since 2010 and the total number of chapters is now over 700. The Motorbike Gangs expansion has in particular happened across North-East and South-East Europe. Hells Angels Motorcycle Club (MC), Bandidos MC, Outlaws MC and Gremium MC – the increasing number of chapters is also due to the growth of more local groups such as Satudarah Maluku MC and Blue Angels MC in North-West Europe. In addition to the tensions associated with the expansion of established OMCGs, the arrival of new OMCGs from Australia (e.g. Comanchero MC and Rebels MC), Canada (e.g. Rock Machine MC), and the USA (e.g. Mongols MC and Vagos MC) has brought fear of intergroup conflicts in Europe. The main driver for OMCGs to expand is feared to be the desire to increase their role in particular criminal markets by opening chapters in strategic locations, for instance along the trafficking routes for drugs, weapons and human beings. Merely establishing a chapter on the ‘turf’ of another OMCG is interpreted as an act of provocation and is likely to result in violent confrontations and retaliation. 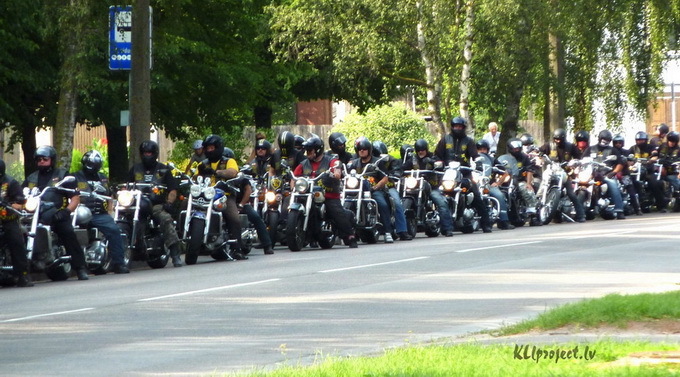 The ‘Nordic Biker Wars’ of the 1990s serve as a compelling example of the capacity for extreme violence resulting from an increased concentration of OMCGs in Europe. The main threat to public safety associated with OMCGs stems from their propensity to use extreme forms of violence. This includes the use of automatic rifles like Kalashnikovs, and explosive devices such as grenades, and the indiscriminate nature with which this violence is often used in open conflicts between rival groups. The use of intimidation and violence is intrinsic to the Motorbike Gangs subculture and serves to exert control over group members and others such as victims of extortion. In displaying their ‘colours’ and identifying symbols – or ‘patches’ – members of these groups exploit the reputation for violence associated with their particular OMCG to affirm their individual roles in local criminal markets. At present, the majority of violent incidents are reportedly occurring within the context of territorial disputes between different OMCGs, as well as rivalries with local organised criminal groups and street gangs. The modern culture of OMCGs has become less associated with the use of motorcycles and the ‘biker’ lifestyle – in fact, some members do not even have a motorbike or driving license. This transformation is also reflected in the gangs’ recruitment practices and use of affiliated street gangs. Hells Angels MC, for instance, have set up the ‘AK81’ (Altid Klar 81. Translation: ‘Always Ready Hells Angels’) as an armed response to ‘gang conflicts’ over local criminal markets in Denmark. When recruiting, OMCGs target members of prison gangs, right-wing extremist groups, the hooligan scene and the military, to draw on specialist knowledge and skills. OMCG members are also known as one-percenters (1%) and they even wear a patch declaring this on their vests, to distinguish themselves from the 99 percent of bikers who are law-abiding citizens. Given the significant expansion of OMCGs and charters in Europe, Europol has informed its law enforcement partners that dedicated monitoring and analysis is needed because of the risk of clashes and the possible impact on the general organised crime situation. Europol offers support to countries facing the challenge of dealing with outlaw motorcycle gangs through its analytical and criminal intelligence-sharing capabilities. Law enforcement partners are also encouraged to establish a single point of contact within national law enforcement authorities to deal with the problem effectively. Look… motorbikes club who are law-abiding citizens.